Who better to make a great new (and sorely needed) snowkiting instructional video than the maker of the amazing snowkite DVDs like Entropy and Something Stronger - Morten Gjerstad. He is not only an accomplished filmmaker (using all high-definition footage) but also has access to the top riders in the world who are on the cutting edge of what is happening in snowkiting. This is 2 hours of the most thorough introduction to snowkiting you can imagine. 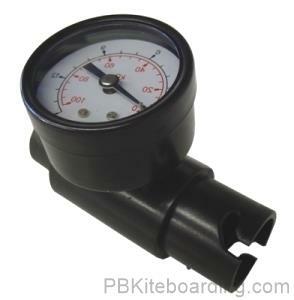 There are chapters on terminology, equipment, location and conditions, kite flying basics, using foil kites, using tube kites (each kite chapter includes information on setup, safety systems, launching and landing, relaunching, and even packing), riding basics (like edging, turning, and going upwind), back country riding, expedition kiting, kite repair, and basic jumping. This is definitely the complete course to becoming a safe and confident snowkiter. When volume 2 is released it will take off from the basic jump and go into all the trick types of jumps and many other specialized advanced snowkiting skills. 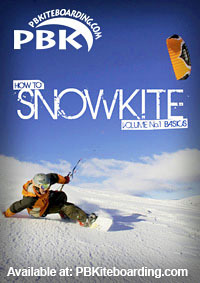 Snowkiting DVD`s How to Snowkite Vol 1! Learn how to Snowkite DVD, Snowkiting. The Best Snowkites you can get! Select a Kite for More Details!